All are mint, lightly hinged. Looking for bargains to add to your collection?. BAHAMAS ,SCOTT# 27. MINT VERY LIGHTLY HINGED. VALUE CARMINE ROSE COLOR, QV 1884-90 ISSUE.CAT. BAHAMAS,SCOTT # 564 566/567(2) MINT LIGHTLY HINGED. 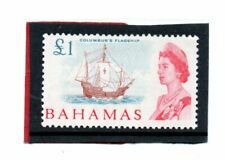 BAHAMAS,SCOTT # 479, MINT VERY LIGHTLY HINGED. BAHAMAS, SCOTT # 331-334(4) 335-338(4) MINT VERY LIGHTLY HINGED. Grenada, Scott cat. 474. Scouting 65th Anniversary s/sheet. Light Hinged. Grenada, Scott cat. Scouting s/sheet. Light Hinged. Topic - "1/2p -ENGLISH HARBOUR & KING GEORGE VI". Very Fine Condition & Centering. Mint Lightly Hinged. Issued 1938-1951. Grenada, Gr., Scott cat. 479. 75th Scout Anniversary s/sheet. Light Hinged. Grenada, Grenadines, Scott cat. Scouting s/sheet. Light Hinged. 1965 £1 chestnut, blue & rose-red sg 261 very lightly hinged mint cat. GV1, 1942 Columbus set to 1s sg 162-71 very lightly hinged mint cat. Gemini VI - VII. SC# 544-47 SC# C263-65. We will be happy to assist you. giving you the best service is our priority! 1965 short set to 5s. sg 247-59 lightly hinged mint cat. Rose blue & chocolate sg 260 lightly hinged mint cat. You are looking at a STAMP from GRENADA. LIGHTLY HINGED. BAHAMAS,SCOTT # 325-328(4) MINT VERY LIGHTLY HINGED. You are looking at a STAMP from BAHAMAS. BUY 4 TO 40 STAMP LOTS AND REQUEST AN INVOICE -. MINT, ORIGINAL GUM. BUY WITH "BUY IT NOW ". You are looking at a STAMP from GRENADA. LIGHTLY HINGED. FOR COMBINED S&H AND REDUCED S&H FEES. COUNTRY: HAITI:SCOTT'S # CB3-CB8 SOUND FRESH HI CAT. GV1, 1948 1.1/2d pale red-brown sg 151a lightly hinged mint cat. BAHAMAS,SCOTT # 352-355(4) MINT VERY LIGHTLY HINGED. GRENADA,SCOTT # 628-633(6), MINT VERY LIGHTLY HINGED. BARBADOS,SCOTT # 372-375(4), MINT VERY LIGHTLY HINGED. EV11 1907 Nelson 1/4d black & grey sg 158 lightly hinged mint cat. JAMAICA SG174 1956 £1 BLACK & PURPLE. A FINE MOUNTED MINT STAMP. WILL MAKE A NICE ADDITION TO YOUR COLLECTION. GV1 1939 General Assembly 2.1/2d bright ultramarine sg 260 very lightly hinged mint. BAHAMAS,SCOTT # 477/478(2), MINT VERY LIGHTLY HINGED. 1939 BARBADOS #202-204 300TH ANNIVERSARY OF THE GENERAL ASSEMBLY - OGVLH - VF. ISSUE OF 1939. Serving the Collector & Investor by a Collector for Over 40 Years! for any item found to be NOT GENUINE. OGVLH - VF. ANTIGUA #MR1-MR3 WAR STAMP ISSUES OF 1916-18. Serving the Collector & Investor by a Collector for Over 40 Years! for any item found to be NOT GENUINE. Any item not specified should be considered hinged.